With an end to my rental living and "it's a rental" mentality in sight, I've been in the mood for some house slipper living. I'd ideally like to have a pair for every walking family member. 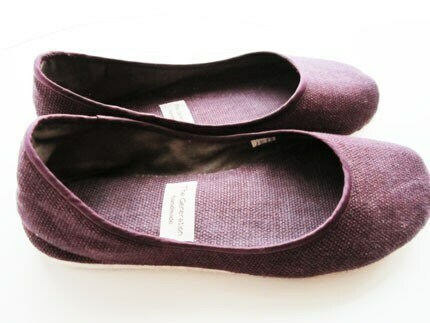 My browsing brought me to the new-to-me etsy shoe shop The Generation and their chic-y little ballet flats.